She and Tito showed up, samosas and Indian sweets in hand, and the task of warping began with Game 7 of the Canadiens/Bruins series in the background. I had watched an Ashford video yesterday on the subject so I did have some idea how the process worked, but having someone there who had done it a dozen times and totally knew what she was doing? Priceless! She advised me to start off with a small worsted weight project to get my feet wet, and brought with her one of the skeins we hand dyed during our dye date last autumn. 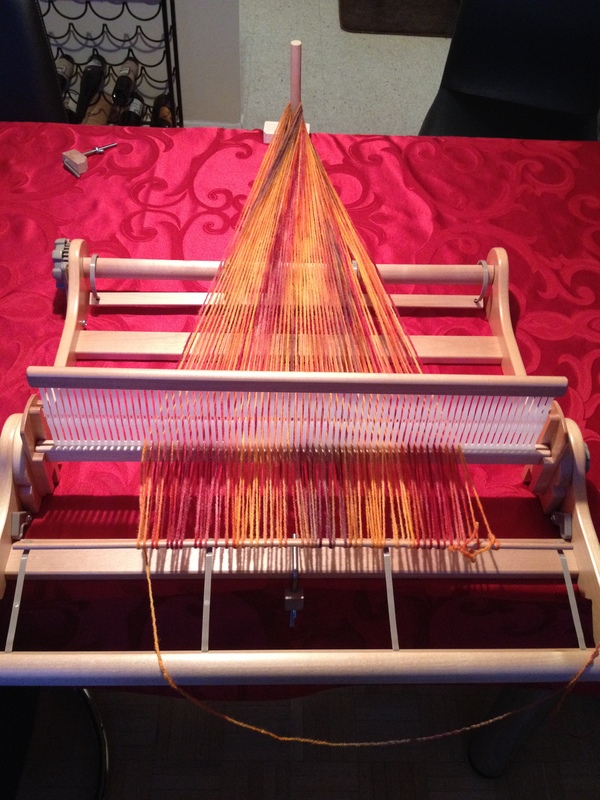 We proceeded to set the loom up width-wise across my dining table and off we went. Having a spare set of hands for this part was awesome! Warped Up and Ready To Go! I actually really enjoyed the hem stitching, and after Shireen and Tito headed off for the night, I kept going just a little while longer. I did find it gets addictive in the “just one more pass with the shuttle before I stop” sorta way. 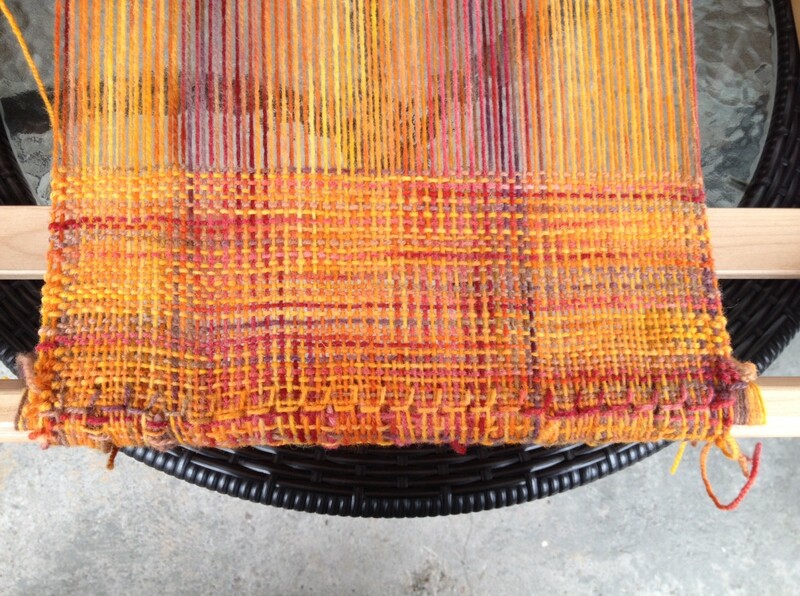 In the cold light of day, I found I had woven quite a bit, considering how new I was at it. 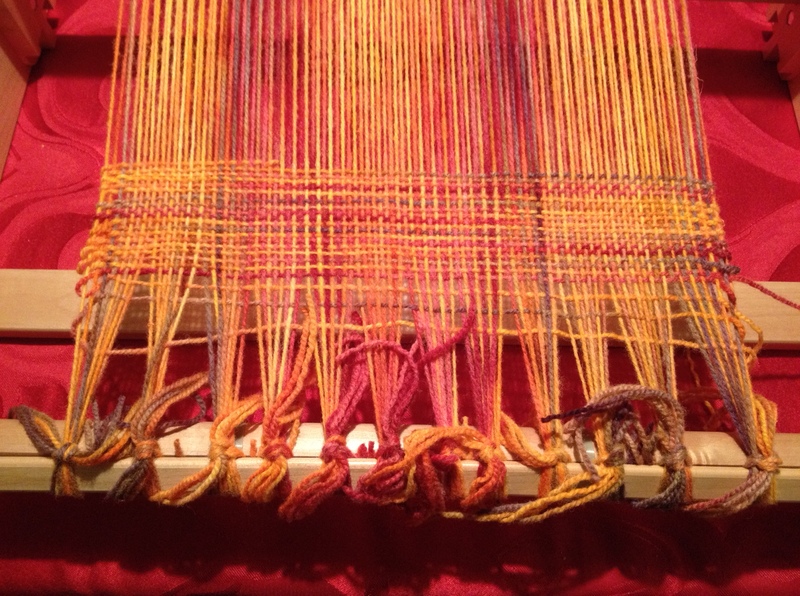 I am sure it will take me a while before I am weaving scarves for 1000 yards of laceweight…but so far, so good! 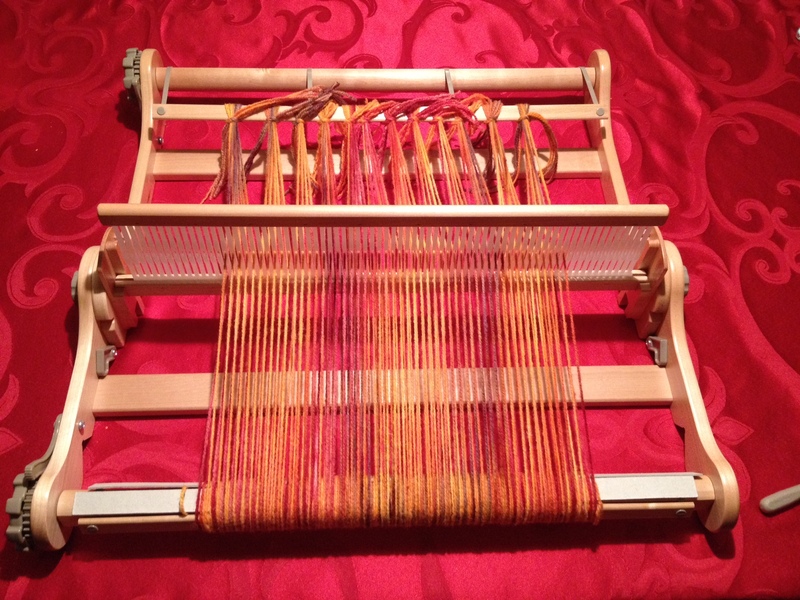 This entry was posted in Uncategorized and tagged loom, shireen, warp, weaving by Rayna. Bookmark the permalink.